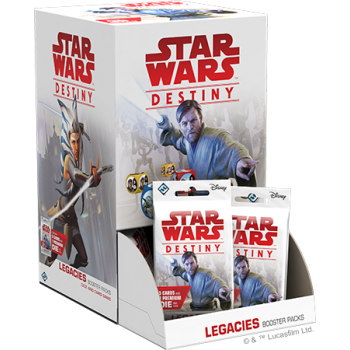 Expand your Star Wars: Destiny collection with Legacies, a new set of booster packs for the collectible dice and card game! Legacies continues the evolution of Star Wars: Destiny, expanding on classic archetypes while introducing new mechanisms, including a new die symbol and a new card type. 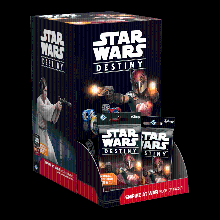 As a new Base Set, Legacies is a solid starting point for Destiny newcomers while introducing innovative new concepts that challenge classic gameplay and tactics.